Rabbi in Kretingen, in the government of Kovno, and afterward in Pinsk, where he died in 1841. 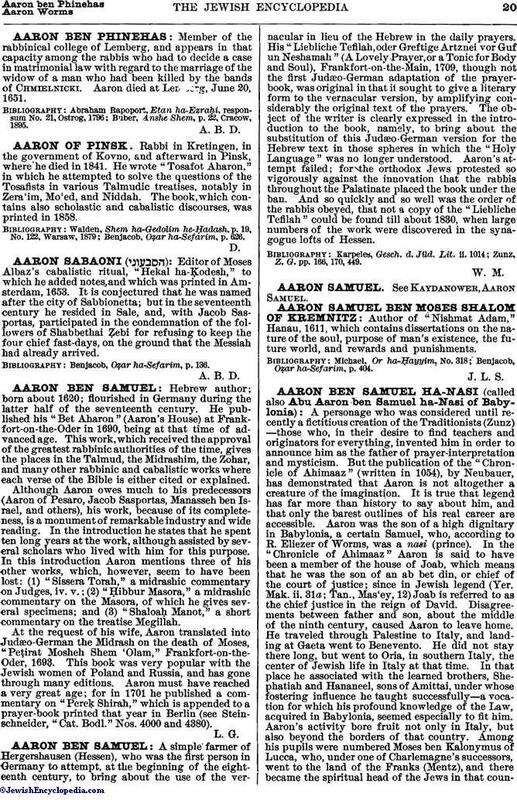 He wrote "Tosafot Aharon," in which he attempted to solve the questions of the Tosafists in various Talmudic treatises, notably in Zera'im, Mo'ed, and Niddah. The book, which contains also scholastic and cabalistic discourses, was printed in 1858. Benjacob, Oẓar ha-Sefarim, p. 626.